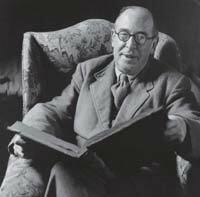 Clive Staples Lewis, or C. S. Lewis, was one of the most popular Christian writers in the 20th century. His major literary contributions include popular theology, fantasy literature, and children’s literature. Lewis wrote over 30 books, making it possible for him to reach a large audience, and his well-known works still appeal to a large number of new readers today. His most prominent and popular achievements include Out of the Silent Planet, The Chronicles of Narnia, The Four Loves, Mere Christianity, and The Screwtape Letters. In 1898, Lewis was born on November 29th, in Belfast, Ireland. All through his life, he was called Jack by his friends and family, a nickname he invented for himself when he was four after the cherished neighborhood dog named Jacksie died. His only brother was Warren Hamilton Lewis. In 1908, Lewis’s mother passed away from cancer when he nine years old. Lewis was enrolled in a boarding school at Belfast’s Campbell College in 1910. He left that school and enrolled in Malvern College in 1913. It was there, at age of 15, when Lewis became an atheist, leaving his childhood Christian faith. After attending Malvern, Lewis was privately tutored by William T. Kirkpatrick, who also had been his father’s tutor. Lewis received a scholarship to attend the University College in Oxford in 1916. He took a break from his studies when WWI started, and in 1917, he enlisted in the British Army. In April of 1918, he was wounded during the Battle of Arras and discharged nearly a year later in December of 1919. When he was serving in the army, he became good friends with Paddy Moore, his roommate. In 1918, his roommate was killed in battle. Following Lewis’s discharge, he kept his promise that he had made to Moore to take care of Moore’s family. In 1920, he then moved in with Moore’s mother, Jane, as well as her daughter, Maureen. Eventually, all of them moved to the “The Kilns,” a home which they bought together with his older brother, Warren. In May of 1925, Lewis became Oxford University’s Fellow and Tutor for their English Literature department. He held this position for nearly thirty years until 1954. During his first years at the university, he changed from being an atheist to becoming a very influential Christian writer in the 20th century. The year was 1931 when he converted back to Christianity and then joined the Church of England. He pointed out that his friendship with J.R.R. Tolkien, along with the works of G.K. Chesterton (also converted had a major influence on his conversion. He often discussed his works with Tolkien and others at his favorite Oxford pub. While at Oxford, he was the key member of the “The Inklings,” which is now a very famous literary group. The group held twice-weekly meetings and members included Tolkien, Charles Williams, Hugo Dyson, Nevill Coghill, Dr. Robert Havard, and Owen Barfield. The Chronicles of Narnia, possibly Lewis’ most famous work due to the motion pictures that have been based on it, is about four siblings during wartime who walked through an armoire and entered a magical world called Narnia. It was a land that had many talking animals and mythical creatures. Various sections of the series symbolized different Biblical themes. Aslan, a lion, was a very prominent character and also Narnia’s ruler. He is representative of being a Christ-like figure. Lewis married when he was 58 to Joy Gresham, who was an American writer. They were married in 1956, just two years after he accepted the chair of Cambridge’s Medieval and Renaissance Literature department. He stayed with this position until he retired. His wife died in 1960 from bone cancer. Lewis continued caring for her two sons, David and Douglas.